'Smart Phones - Dumb Security' - What can we do? The complete solution to mobile security. 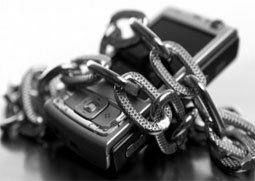 Do your operatives discuss sensitive/confidential/classified information on mobile devices? Do your operatives access sensitive/confidential/classified data via their mobile devices? Do your operatives use personal mobile devices for operational purposes? Are your operatives often faced with crisis situation and crisis control management requiring reliable secure communications? Are there consequences if this sensitive/confidential/classified information is compromised by outside agents? 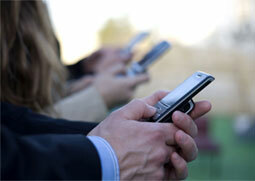 Does your organisation have significant mobile communications costs? Do your executives have trade secrets to protect? Do your executives require multi-party instant secure communication on a global basis? Are you looking to exploit the commercial benefits of the growing mobile banking and transaction market? Are you subject to the FSA ruling on mobile communication and recording? Do your employees access commercial data on their personal mobile device? Are you concerned about the inherent insecurity of the GSM system? Do you have an issue with customer churn? Are you looking to offer distinct differentiation in the voice market by providing secure encrypted calls? Can you provide for potential premium pricing in the commoditised voice market? Do you wish to enhance and augment mobile data offerings? Do you currently engage with clients in the international security market? Are you looking for potential partners in the mobile security market space? Are you committed to providing excellent products and service to your clients? Copyright © 2012 Morrigan Partners Company No. 462636 Registered in Ireland.